14 total news articles in this section, 10 per page. How to.... The Transtopian guides. Yes we from the seibertron.com staff are trying to improve the Transtopia community and are working on Transtopia newsletters. But we also want to encourage fresh new talent to the art community. We want to do this by providing "How to ...." guides in the forums, while this thread acts as the "index page". So we ask you the talented artists to help out the new blood. Want to contribute? Well then just pick a topic you want to make a guide to and start working on it. The guides should contain an explanation in written form, step by step images and you must state which tools are necessary for the project. We will pick out guides to make it into the newsletter and will try to archive them here. Don't worry you will be credited for your work. In a few short weeks, an all-new feature section will make its debut on Seibertron.com called "Transtopia". This new section will feature the creative work of the many talented Seibertronians that make up this website. Transtopia will be the place where members of Seibertron.com (we're looking at YOU) will be able to showcase incredible custom figures and kitbashes, beautiful artwork, and amazing fan-fiction. Transtopia will be dedicated officially to one of the greatest members of the Transformers community, Bill "TFmaster" Koshorek. Bill was the very proud owner of the fantastic Transtopia community that used to reside at tfmaster.com. Bill approached me at BotCon 2006 about moving the Transtopia community over to Seibertron.com. 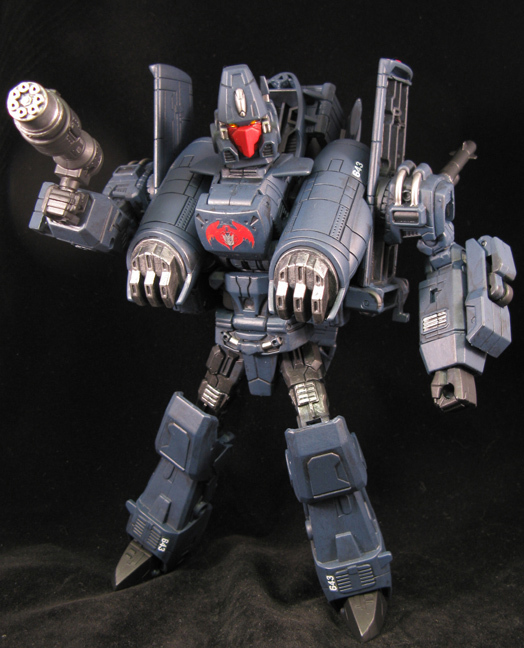 I took over the hosting of tfmaster.com in November 2006 after agreeing to create a new Transtopia here on Seibertron.com that merged the best of the Transformers mega sites with the best of the creative minds within the Transformers community. Before plans and ideas could be completed, Bill had a massive heart attack in March 2007. Sadly, Bill did not make it and it seemed that Transtopia might die with him. Over the next year and a half, I felt an immense amount of guilt over not completing Bill's dream. That was until 2 staff members on Seibertron.com, First Gen and Stormrider, came along and really started pushing for the creative content in the Transtopia forums to be featured on Seibertron.com once again. Their interest is in making sure that the Transtopia community thrives and breathes life back into the Transtopia project and ultimately Bill's dream. In November 2008, I began programming the new Transtopia gallery section that will feature Customs and Artwork, which was the primary focus of Bill's Transtopia. Transtopia will be different than any other application on the major Transformers websites. You'll be able to create your own galleries, add images to those galleries, select which categories those images belong within, automatic on-the-fly thumbnail creation, the ability to easily change the sort order of your galleries and images, easy search functionality, view galleries by users, and more! In addition to the customs and artwork sections of Transtopia, I am also working on an all-new Fan-Fiction section that will allow you to add fiction, chapters and many other similar advanced custom functionality that will be built with writers in mind. I have three goals that I hope to accomplish with Seibertron.com's Transtopia: 1) Create a fun and easy to use section for fans to showcase their creative talents, 2) bring back some of the incredibly talented Transtopians to Seibertron.com and 3) make Bill very proud. I'll know #3 will happen when #1 and #2 happen. If I can accomplish those goals, I'll be a very happy person. The newsletter is your opportunity to show off your work and talent. We rely on your articles, artwork, and customs to make it interesting. Submissions will be reviewed on a monthly basis. Presently we are accepting submissions for customs such as: repaints, kitbashes, and scratchbuilds. We will be rolling out other types of submission work in the future. Make sure to submit your custom in the proper subforum. You will see a sticky in each forum saying “Submissions for Monthly Newsletter”. When submitting, give us the title of your custom and a link to your gallery. Make a Difference, Join the Newsletter Team! Want to contribute to the Seibertron community? Why not join the newsletter team? We are looking for volunteers to help out consistently each month. Past experience is helpful but not necessary. Roles to fill include editing, design & layout, writing articles, and overseeing sections. If you are interested send me a PM: Stormrider. Special thanks this month goes out to Overcracker for the new banners! Click on the links to see additional images. 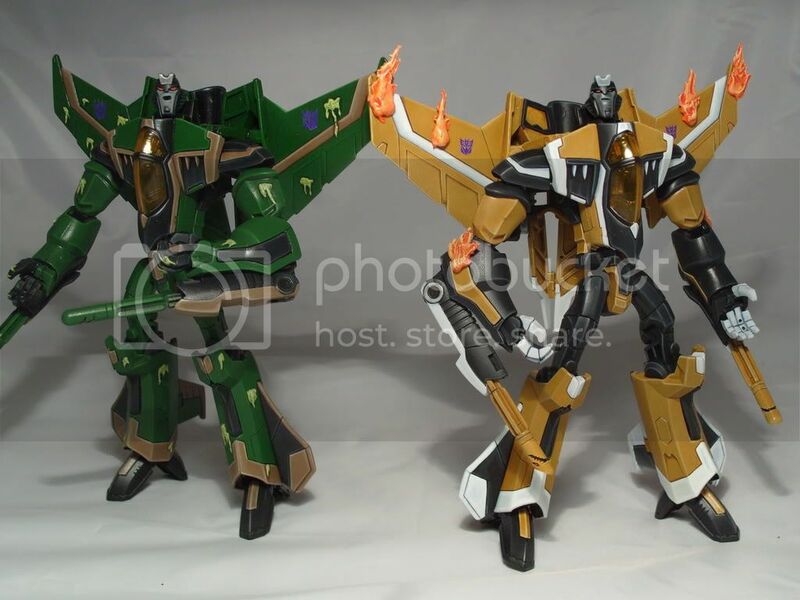 Last month, Spurt Reynolds gave us a refreshing look at his collection of kitbashed Animated Seekers - Sunstorm, Skywarp, and Acid Storm. Curious of how he made those whimsical faces? Well Spurt Reynolds now shares his secrets so that you can make those eye catching sculpted grins. First of all thanks to Maximo Prime (of SECTOR70)who's idea it was that i write this guide. some spray undercoat/primer and most importantly some sculpting material (personally i use Green stuff). Be carefull to not to damage the "lug" that the screw fits into when the head is reassembled.. This is how the front of the head looks at this stage..
Next fill the hole with Green Stuff.. Trim off any excess with a modelling knife..
Now using a sculpting tool begin to carve the mouth.. When you are happy with the shape leave to dry for at least 12hrs. Now using a wet finger lightly smudge over the green stuff,this smooths out the surface nicely(please note i don't know how well this will work with other sculpting materials). Next using a fine grade sandpaper sand down the green stuff as smoothly as you can..
Now i spray a light coat of undercoat.. This will show any imperfections or areas that require any additional sanding. Using VERY fine sandpaper sand again..
Repeat this process until the face is smooth.. Finally a couple of general tips. Look in comic books for some great expressions to copy & if you don't have any sculpting tools get friendly with you're dentist,chances are you might be able to scavenge a few of his old sculpting tools. Do you have a guide that you would like to share? Send your ideas here. Venksta has been chosen as the November featured artist. Check out Venksta’s inspiring takes on Universe Cosmos. This exciting toy will be released next month. Click here to see the original pictures and read what Venksta has to say about his work. Would you like to have your artwork featured in an upcoming newsletter? Submit your work here. Special thanks to Seibertron’s staff member, Nekoman for the designs. *MPC-03 : G1 Transformers Combaticons BRUTICUS !! 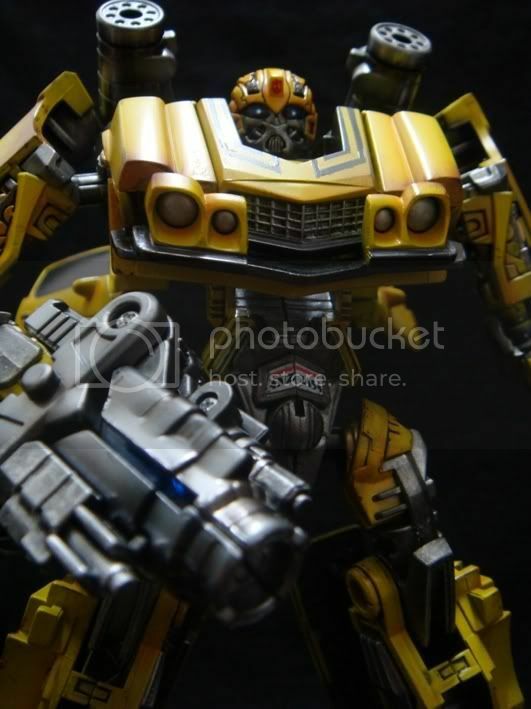 *MPC-03 ( MASTERPIECE CUSTOM - 03 ) / The custom made Transformers MPC series by L.K. With all these 5 Combaticons can combine into Giant Decepticon Robot : BRUTICUS ! These 5 Combaticons can not only transform from Army Vehicle mode into Robot mode, but they can also combine and transform into Giant Decepticon : BRUTICUS which stands about 15 inches tall!! Huge and Heavy! This is the Only one custom made BRUTICUS figure by L.K. All the parts and mode are sepcific designed for this figure at one time use only. This is the One and Only One MPC03 BRUTICUS by L.K. One-of-a-kind !! Most of the BRUTICUS joints are movable, head moves up and down, left and right. Shoulder rotates 360, Fingers moves up and down ( thumb has individual ball joints ). Legs/hips moves forward, knees bends !! All figures has been given a fixative coating on top of the paint to make it durable.The paint used are the professional resin base paint.Apart from these, all figures have been given a muddy/metalic effect on the surface to make them looks more realistic like an Army Set !! 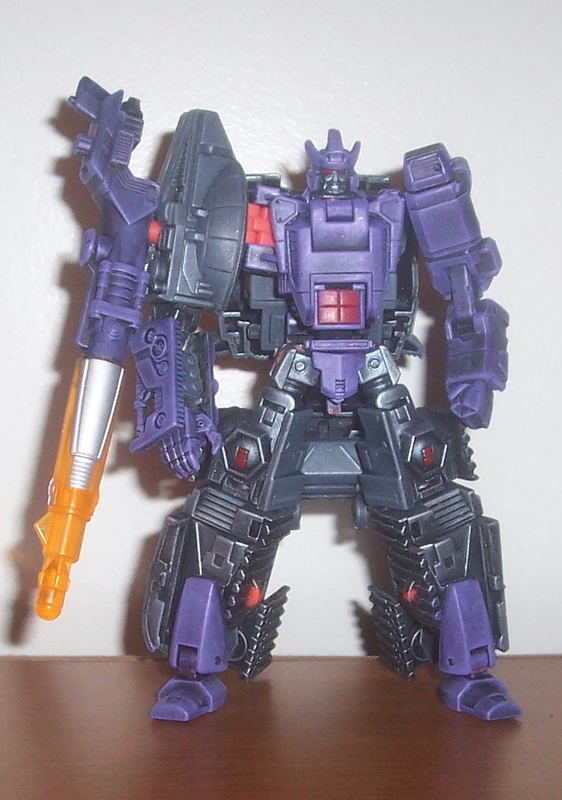 Besides, with Combaticons' individual wapeans, can combine and form a giant Weapons for Bruticus !! And NOW, MPC03 BRUTICUS is ready to fight!! *MPC-02 ( MASTERPIECE CUSTOM - 02 ) / The custom made Transformers MPC series by L.K. With all these 5 Aerialbots can combine into Giant Autobot Robot : SUPERION ! These 5 Aerialbots can not only transform from Flighter-Jets mode into Robot mode, but they can also combine and transform into Giant Autobot : SUPERION which stands about 15 inches tall!! Huge and Heavy! 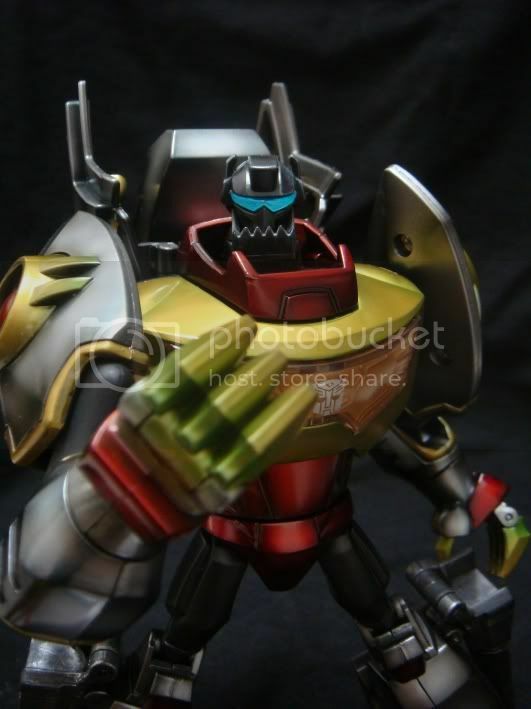 This is the Only one custom made SUPERION figure by L.K. All the parts and mode are sepcific designed for this figure at one time use only. Most of the SUPERION joints are movable, such as Shoulders move in and out, Elbows bends, Arms rotates 360 front/back ways, Fingers moves up and down ( thumb has individual ball joints ). Legs/hips moves backward, knees moves forward and backward !! Shoulder movable joints are not simple ball joints, they are the gear wheels joints which will give a "click" sound whenever you move the joints!! All figures has been given a fixative coating on top of the paint to make it durable.The paint used are the professional resin base paint. Got a custom you'd like to share? Post it in the Official Transtopia Forums! 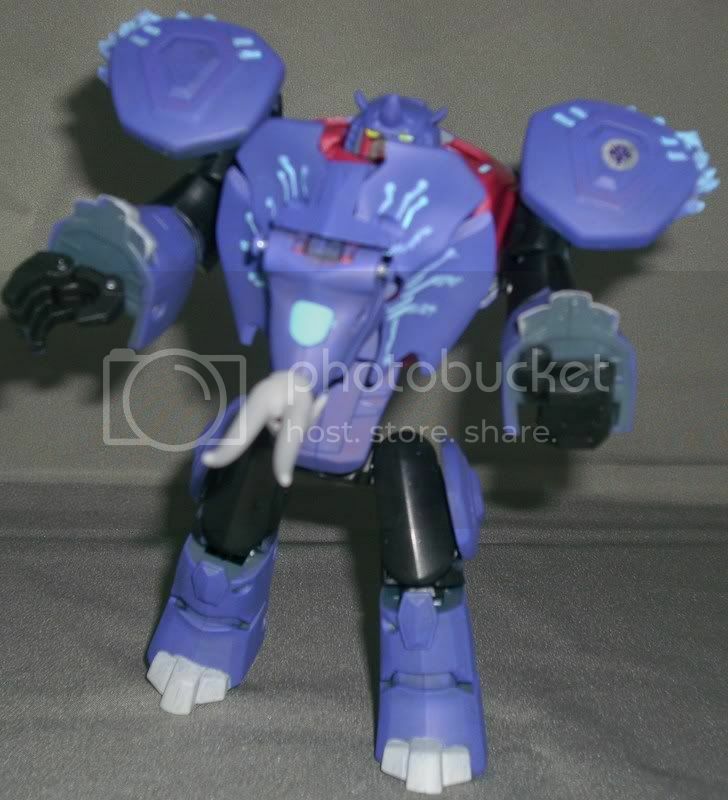 -Bubbleformer.com- Did everyone remember how sad they were when Kevin of Mirageboxes made the decision to stop producing his customs and toy boxes? Well, it appears, he is starting a new business. Tfpredaking of the Michigander Sitings Thread has shared that Kevin has started a new business on the internet at Bubbleformer.com. What is this business you might ask? 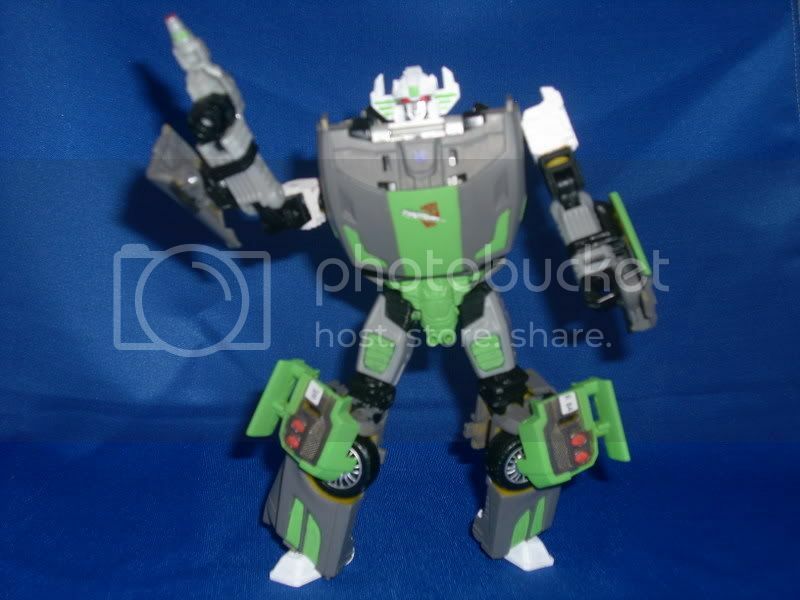 Well, like the website title says, he provides bubbles to use to display your g1 toys in their boxes. The bubbles are not replicas of the G1 bubbles, instead serve the same function. "I would like to thank you for stopping by. This site was created to to help all you diehard collectors get the ultimate display. The hardest piece to acquire at a reasonable price to make your boxed toy displayed professionally. The bubble insert and cardboard attachement. These bubbles are created with high quality plastics and are custom made by me and my team. We have opened this site with over 20 different bubbles to choose from that will be weekly restocked and new bubbles will be created as we continue to complete them all and maybe some surprises as time goes by. These bubbles can never be considered original due to the fact that there will be differences that will set them apart. First off they will not look as perfect as the originals but they will display just as originals do. They are excellent display pieces showing crystal clear all the way thru to illuminate the vibrant colors of your prisitine toy in its original box. As we are beginners of this process time will perfect these. These can be used for custom display pieces or vintage original as shown below with all the awesome features." If this sounds like something you might be interested in, check out the website, and if not check it out and poke around a bit anyway. With the holiday season kicking into full gear, trying to find ways to satisfy that Transformers need while not killing your wallet has been the main focus of many Seibertronians. Here's one way you can get into the holiday spirit without making another trip to the ATM. First we start with a set of Robot Heroes figures. Best thing out this is that this can work with any figures from the line, but I picked G1 Sunstreaker and Galvatron to be my test ornaments. Next you'll need some additions. I got these Christmas deco's at a Michaels store nearby. I spent about $5.00 USD on it. Now the building materials. I used a hot glue gun because its fast drying and solid. You can get the same affect with some super glue or other heavy bonding glue, but if you ever want to revert these guys back to regular figs, good luck. Notice I included the base of the packaging for the two. This will serve as the platform for the ornament. I bonded the bottom and top together to get a sturdier piece. Next, prep the additions. I couldn't find the Santa hats on their own, so I bought this pack of Santa ornaments and removed them. Bonus is that these came with the hanging string attached, downside was they were also glued on and had to be taken off very carefully. Now just glue and set. Make sure to see exactly where you want your extras to go prior to placing glue. Like I said before, a hot glue gun or super glue will set pretty fast, so you're gonna have to know where you want what you want before you decide to glue. Let the figures set for about 5 minutes so the glue bonds cure before hanging. And there you have it. Transformers holiday ornaments that actually look like holiday ornaments. 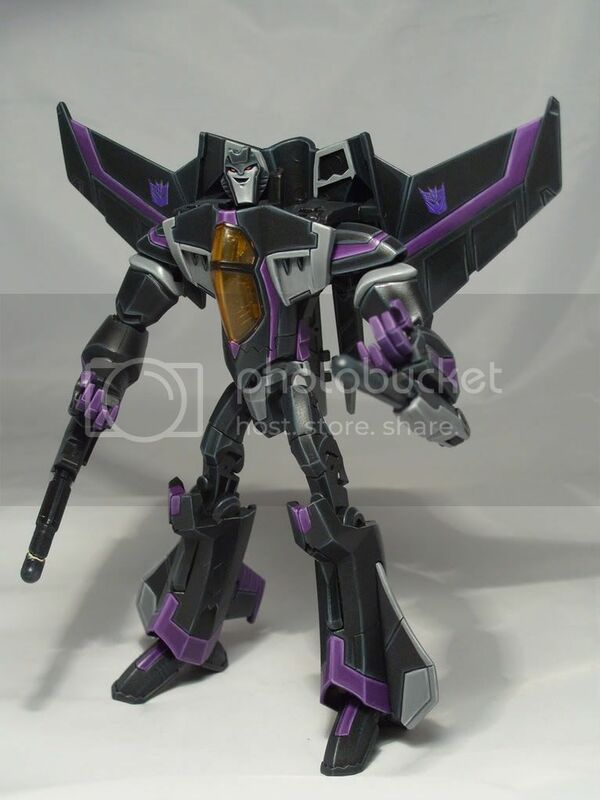 Are you interested in learning how to do repaints but you don't know where to begin? Omega666 gives us a demonstration on how to repaint Universe Galvatron into something more formidable. Check out his guide. I have been doing repaints for over a year now. I started by following Jin Saotome's tutorial. I then found a You Tube clip of Chih doing custom repaints. My style is now a combination of the 2. I prepped the figure by cleaning it with soap and water. Once dried, I took the figure apart at the joints like the left arm, the legs and the back kibble. I unscrewed the head and right arm/turret and taped up the canon. Once I had all the pieces, I used Krylon flat black and sprayed them. After all the pieces have dried, I used Testors Silver Argent and drybrushed them. I like the weathered look so I try to keep some of the black base coat when I apply the silver. Then, I assemble the pieces together. 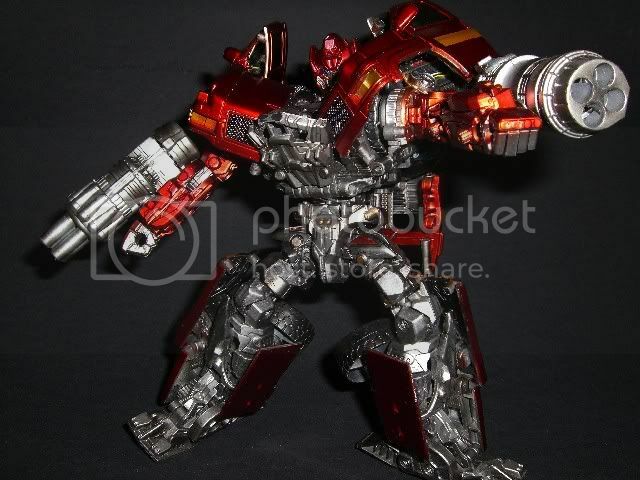 Galvatron looked pretty cool all silver. 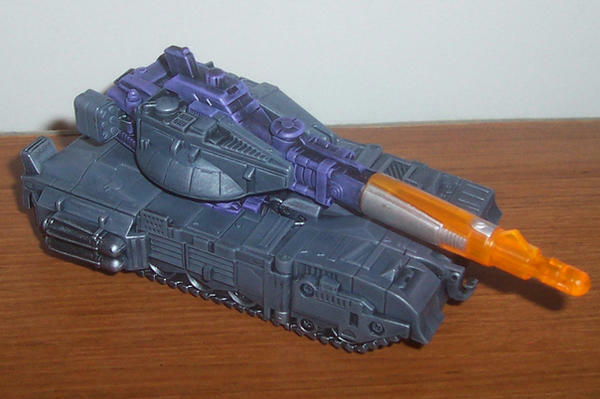 I drybrushed gunship grey to the tank mode. 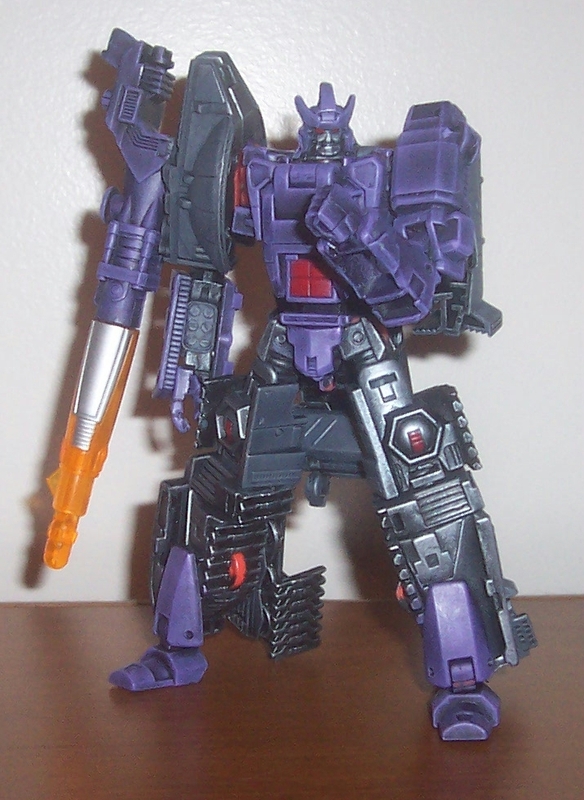 In robot mode, I again drybrushed 2 shades of purple to the left arm, torso, crotch, head, feet, right forearm and canon. The first shade gave him a more metallic look and the second shade just made it look better with the grey. I added some red to the torso, knees, and eyes. 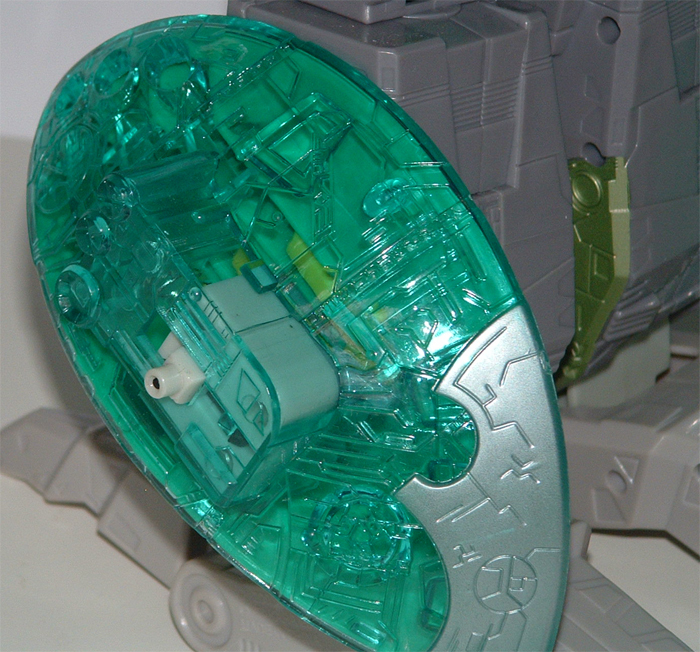 The parts that were left silver were the face legs and tank treads. Some of the orange joints and pieces were left alone because they probably would have flaked. Overall, I am very happy with how he turned out. Do you have an interesting custom guide that you would like to share? Send us your submissions here and it may get posted in the next monthly update. Deviant Art member ninjaink has posted a new version of a Transformers the Live Action Movie poster. Ninjaink seems to specialize in doing noir style and did up a nice poster that takes a modern day movie and gives it a classic style poster. The poster lends itself to straight satire with a twist of fanboy humor. Check out the original post and his other movie posters here. Do you have any art you'd like to showcase? Let us see it by posting it in our Transtopia Fan Art Forum. Custom Monthly Update - Sept. & Oct. Welcome to Seibertron's Custom Monthly Update. Our Seibertron members have been working hard to produce many interesting customs and we are proud to share their work with you on a monthly basis. This first update is being kicked off with customs from the past two months - September and October. You can check out previous customs here. The customs have been divided into three categories: Repaints, Kitbashes, and Extensive Mods & Scratchbuilds. Click on the links to see additional gallery pictures and to learn more about each custom. At the end, find out how you can submit your custom for the next update. Do you have a new custom that you are dying to show off? Would like you to feature an article or custom guide in an upcoming newsletter? Participate in an upcoming newsletter. Submit your customs here. 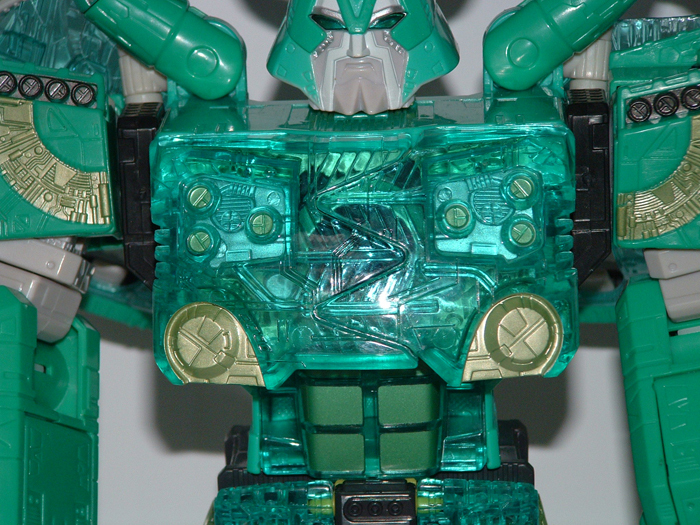 Seibertron.com member BOSKOES has just posted images of a custom repaint of Armada Unicron into the Lucky Draw Green Unicron or Unicron of Light.. This custom was designed to have a close resemblance to the original Lucky Draw figure, while maintaining the trademark "hyper detail" of the BOSKOES team. 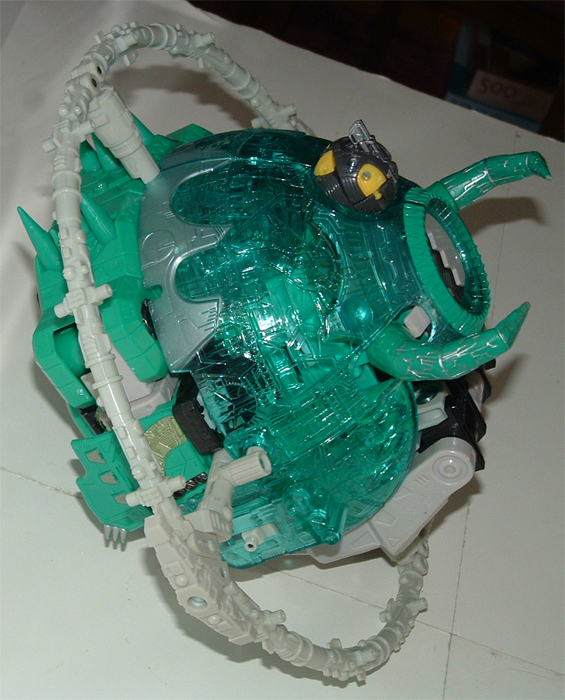 This Green Unicron was limited to only ten pieces in a mail away contest held by the Micron Legend Year Book back in February of 2004. 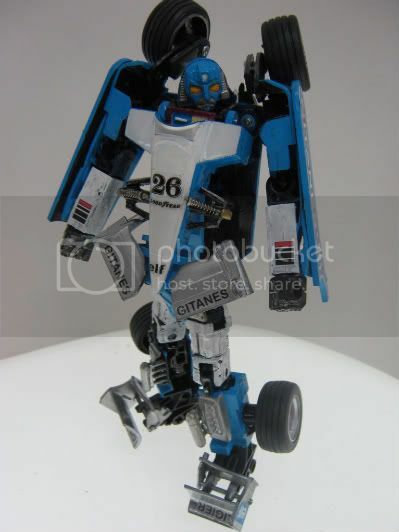 The rarity of a Lucky Draw figure makes it next to impossible to acquire and the diamond of an TF Collection. 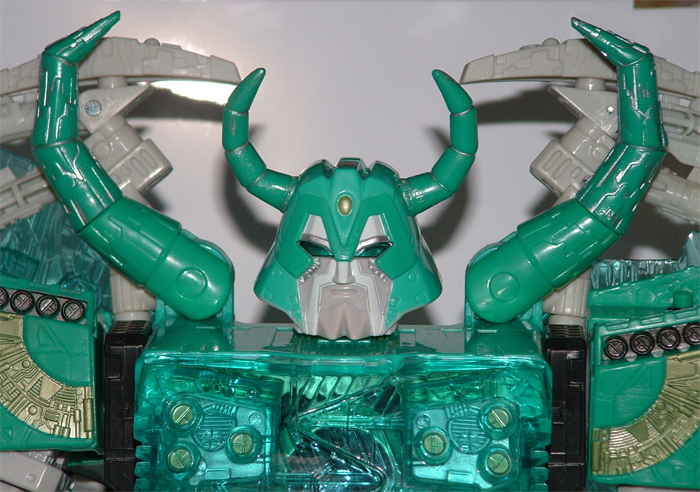 The best thing about BOSKOES Unicron is that you can own it!!! This piece is currently available for auction here. To view the complete Lucky Draw Unicron gallery, click here. 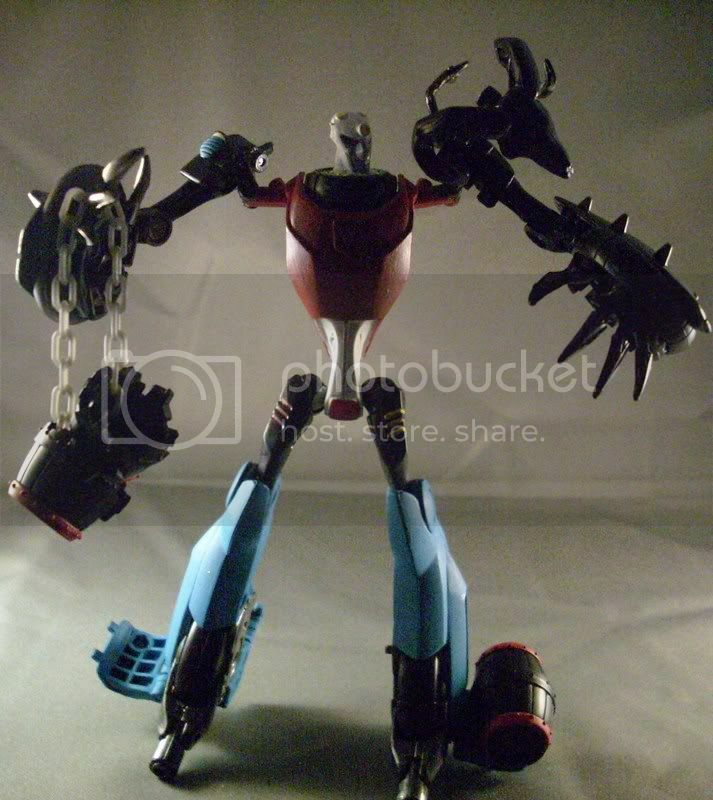 Transtopia: Articulated hands for your Transformers! Resident Kitbasher Jin Saotome has brought us yet another great way to improve your Transformers figures. In this step by step tutorial, he shows us how to create articulated hands for most figures. Like always, the original post on this tutorial can be found here, along with Jin's extensive archives on past tutorials and amazing kitbashes. 4,366 pages were recently viewed by 813 unique visitors. This page was viewed 1 times on Thursday, April 18th 2019 11:34am CDT. © 2019 Seibertron, Inc. DBA Seibertron.com. All Rights Reserved. Established June 2000. Seibertron.com is owned by Ryan Yzquierdo.